All Photos after the text. 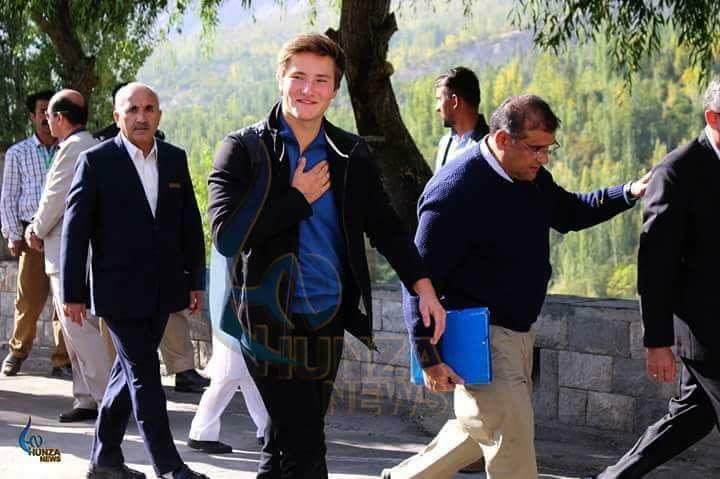 Gilgit: Prince Aly Muhammad, the youngest son of Prince Karim Aga Khan, the hereditary Imam of the Shia Imami Ismaili Muslims, has reached Gilgit-Baltistan region of Pakistan on Tuesday morning. 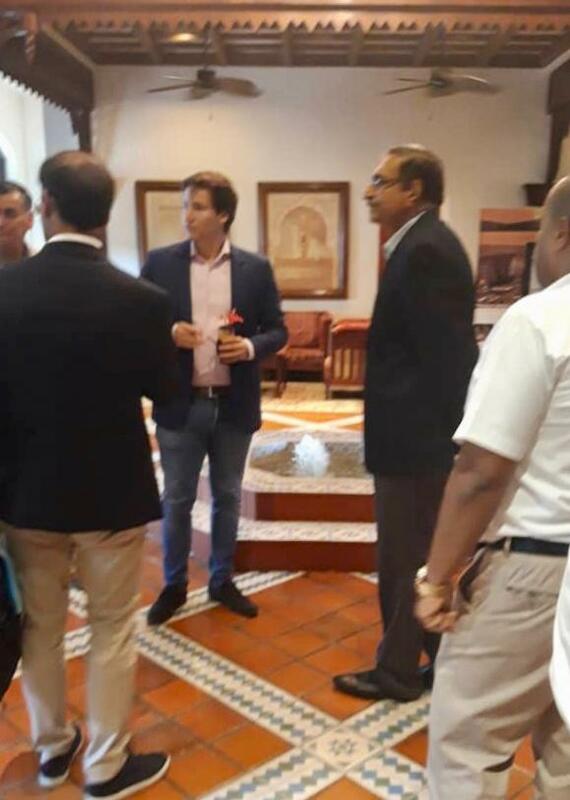 During his stay in the Gilgit-Baltistan region, Prince Aly Muhammad, is expected to visit various AKDN projects in the Ghizer and Hunza districts. Today, Prince Aly Muhammad visited a health center operated by the Aga Khan Health Service, and a school run by the Aga Khan Education Service in Yasin Valley of District Ghizer. 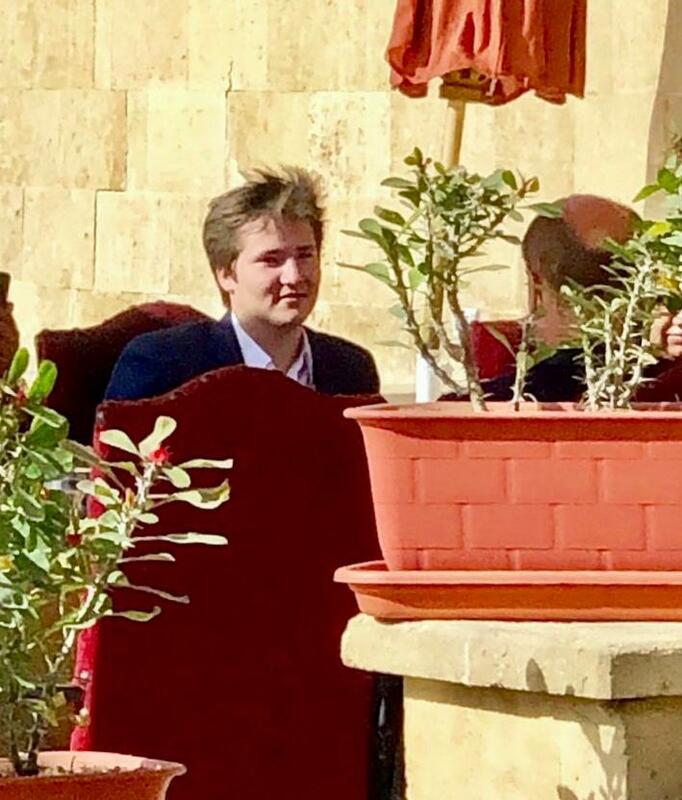 Born on March 7, 2000, Prince Aly Muhammad is the youngest son of the Ismaili Muslims’ spiritual leader. The Aga Khan IV, Shah Karim Al-Hussaini, has been leading the Ismailis for the last sixty years, contributing immensely towards the development of communities in the remotest parts of Pakistan and other parts of the world. 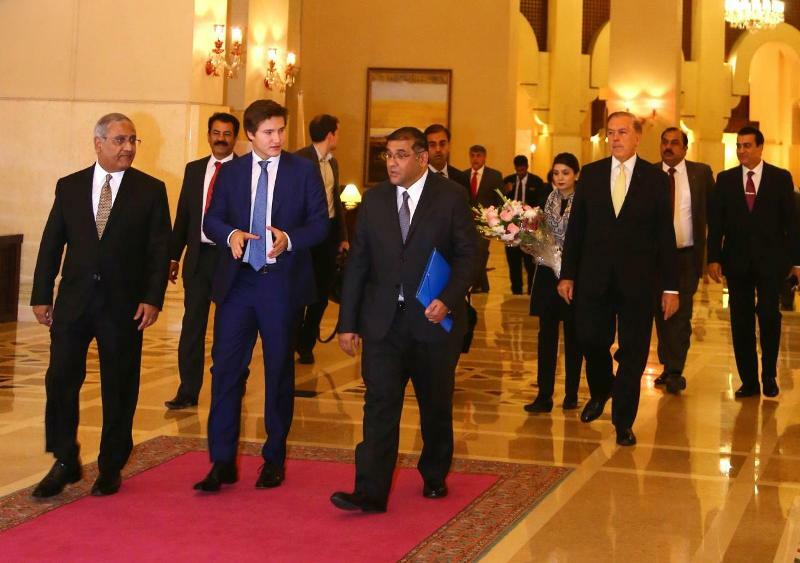 On arrival in Islamabad yesterday evening, prince Aly Muhammad Aga khan was received by Hafiz Sher Ali, President of the Ismaili National Council for Pakistan, on behalf of Pakistan’s Ismaili Jamat. 2017, October 11 Northern Areas, Pakistan. Photo by Hunza News. 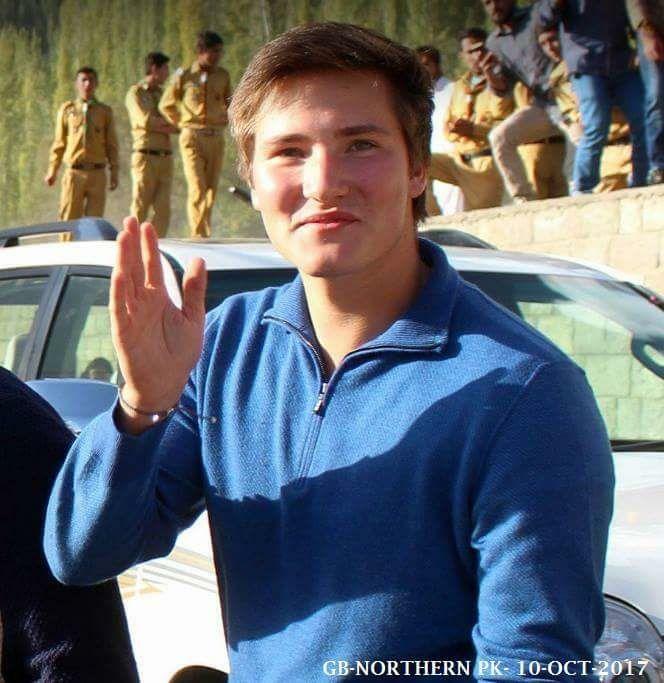 The Youngest son of H.H Prince Karim Aga Khan, Prince Ali Muhammad Official visit in Hunza northern area in month of 11 October 2017. The name AlyMohammed fascinates me.specially the name Mohammed. Able Bayt has 05 core punjatan paak and Salmaan as add on. in Imam SMS he was Pir and Imam himself ,so second name gave some wiegtage in his own name evaluation. He had Diwan Pirbhoi by his side as Salman. MHI has Prince Amyn Mohammed as his deputy ( not equal partner) ,this name also has Mohammed as second name. Just by observing Prince Aly Mohammed name and now observe his presence in events and important solo assignments of him in this jubilee year. He could likely to have important role in next phase of IMAMAT. as per holy book on day of judgement Allah will have prophet ( noor e pirantan) by his side. So any name with Mohammed in it can be important in Ahle Bayt of ALI. This is my own thinking . 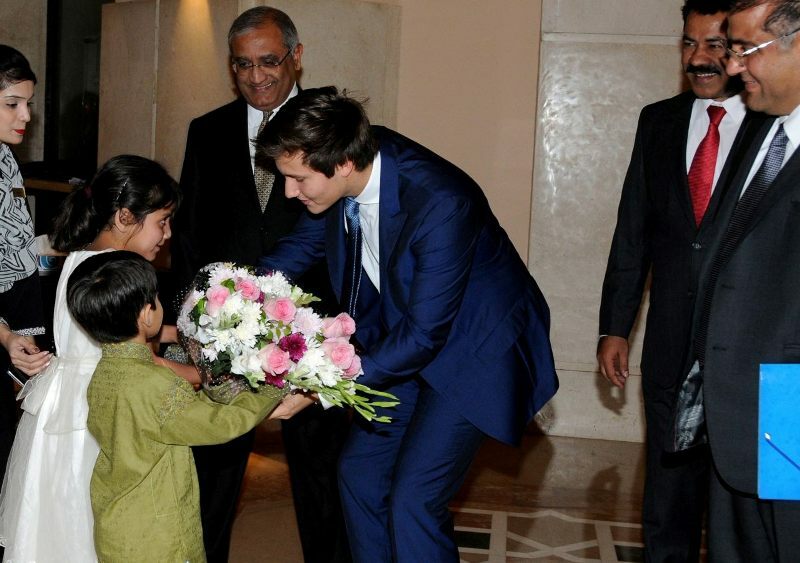 Prince Aly Muhammad Aga Khan, youngest son of Mawlana Hazar Imam, yesterday arrived in Pakistan for a private visit. 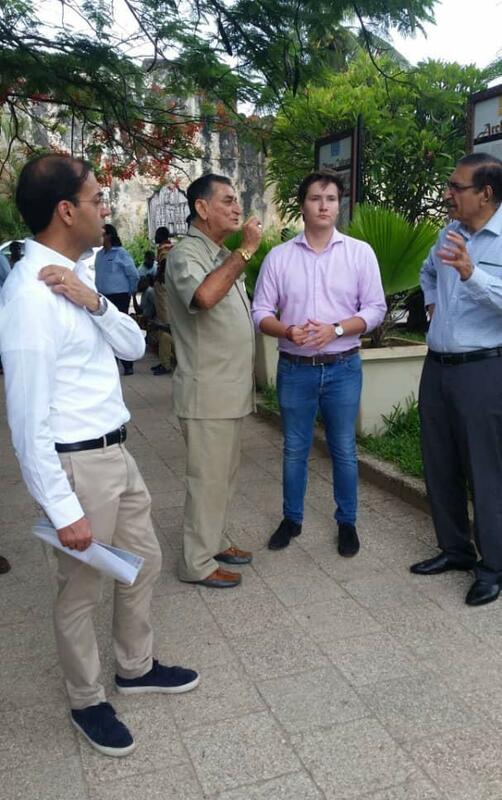 During his trip, Prince Aly Muhammad will visit projects of the Aga Khan Development Network to enhance his understanding of issues related to the built environment, natural hazard mitigation, health, education, culture, and rural development—all areas in which the AKDN with its partners are actively engaged to improve the quality of life. 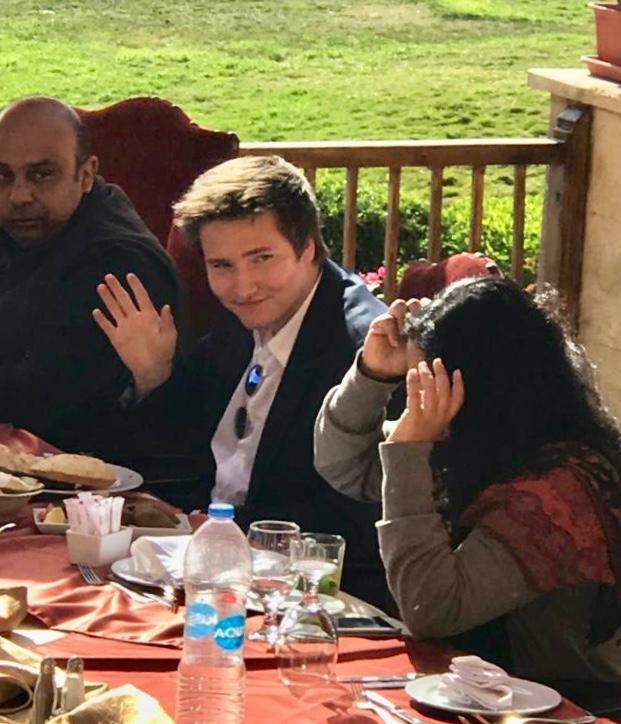 Prince Aly Muhammad Aga Khan, the youngest son of Mawlana Hazar Imam, released a short film earlier today about communities residing in Northern Pakistan. 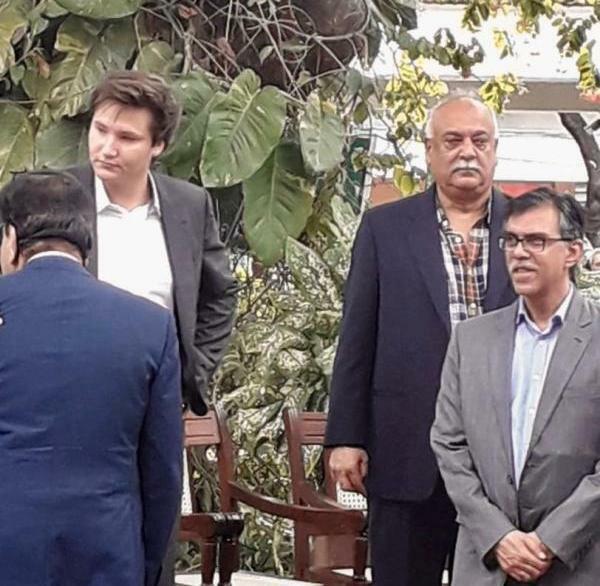 Entitled, Close to Home, the film comes after Prince Aly Muhammad visited Gilgit-Baltistan in Northern Pakistan in October 2017 for a private visit. 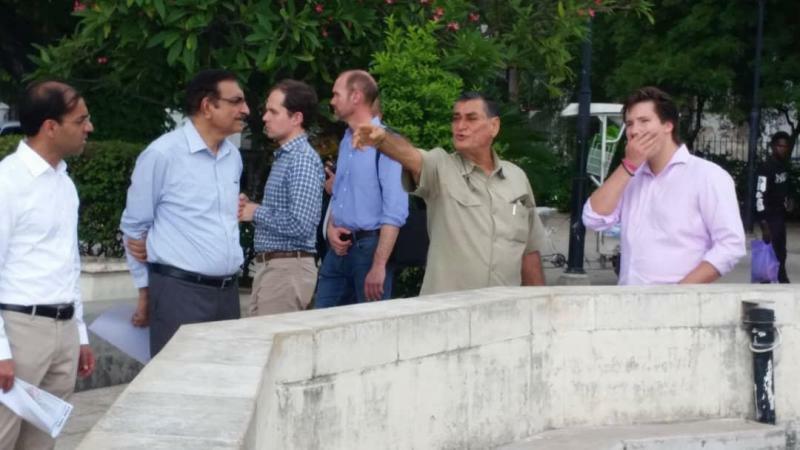 During this trip, Prince Aly Muhammad visited projects of the Aga Khan Development Network to enhance his understanding of issues related to the built environment, natural hazard mitigation, health, education, culture, and rural development - all areas in which the AKDN with its partners are actively engaged to improve the quality of life. Hafiz Sherali, President of the Ismaili Council for Pakistan, who accompanied Prince Aly Muhammad to Gilgit-Baltistan said: "Members of Mawlana Hazar Imam's family have shown great interest in the work of the AKDN. Prince Aly Muhammad has channeled this interest into a beautiful film about the lives of the communities in Northern Pakistan. As the film demonstrates, the people of this region have shown immense resilience in the face of natural disasters and economic hardship. 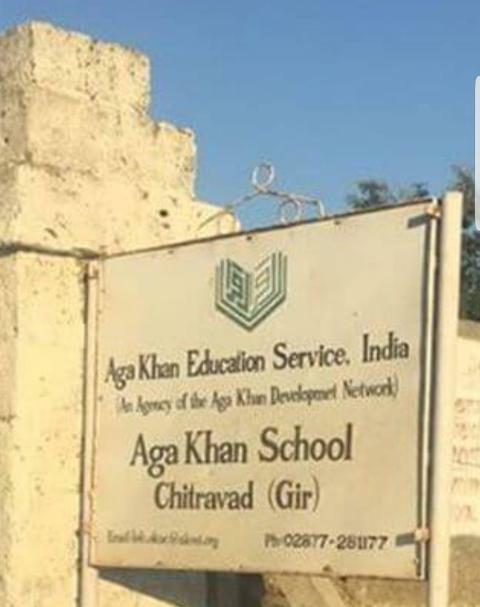 With the long-standing support of AKDN institutions, they are on the path towards progress for themselves and future generations." 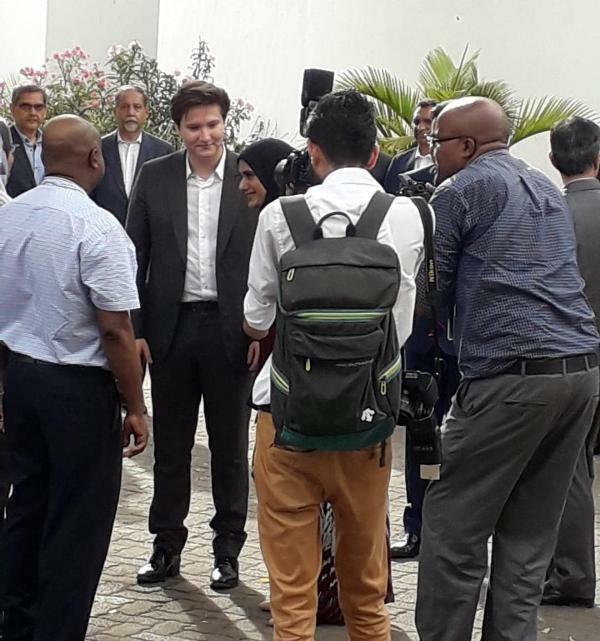 The youngest son of His Highness the Aga Khan made a surprise appearance at today’s World Partnership Walk. 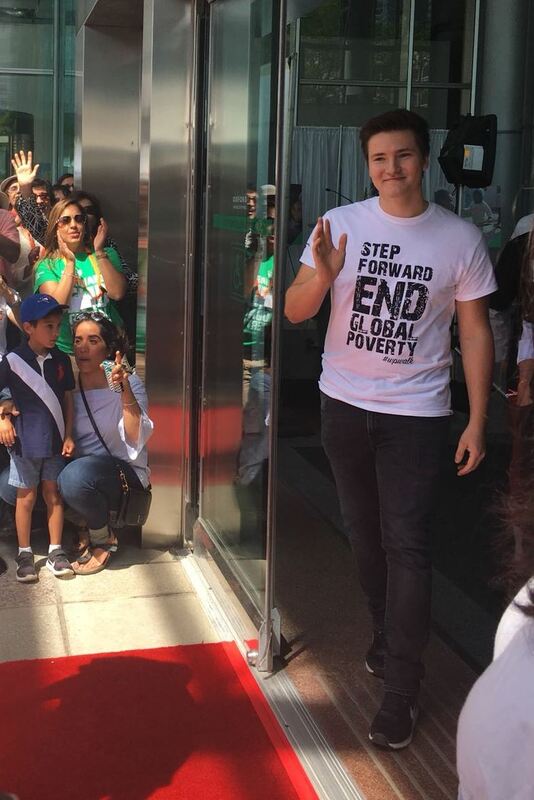 Prince Aly Muhammad, 18, joined thousands of participants at David Pecaut Square to open the 34th annual event, which raises funds to end global poverty. An initiative of Aga Khan Foundation Canada (AKFC), an agency of the Aga Khan Development Network, the Walk has raised over $100 million since inception – and 100% of these funds go directly to international developments projects in Africa and Asia. Created by His Highness the Aga Khan, the AKDN is a family of private, non-denominational development agencies with mandates ranging from health and education to architecture, culture, microfinance, disaster reduction, rural development, the promotion of private-sector enterprise, and the revitalization of historic cities. It is dedicated to improving living conditions and opportunities for the poor, without regard to their faith, origin, or gender. 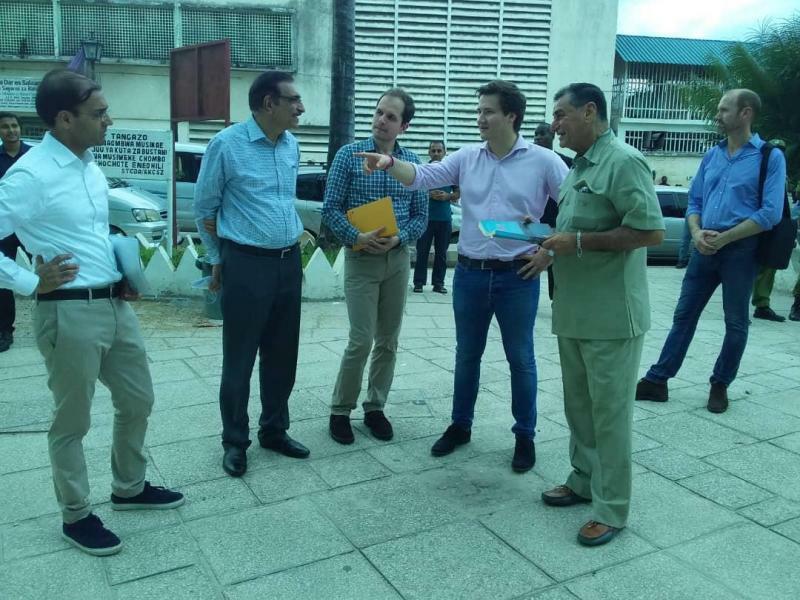 “The AKDN is an important way for my family, the Ismaili community, and people from all walks of life to address the concerns raised by the poorest communities across Africa and Asia,” Prince Aly said. In October 2017, he visited AKDN projects in Northern Pakistan to understand the issues facing the region. “I, myself, was lucky enough to go to northern areas of Pakistan. 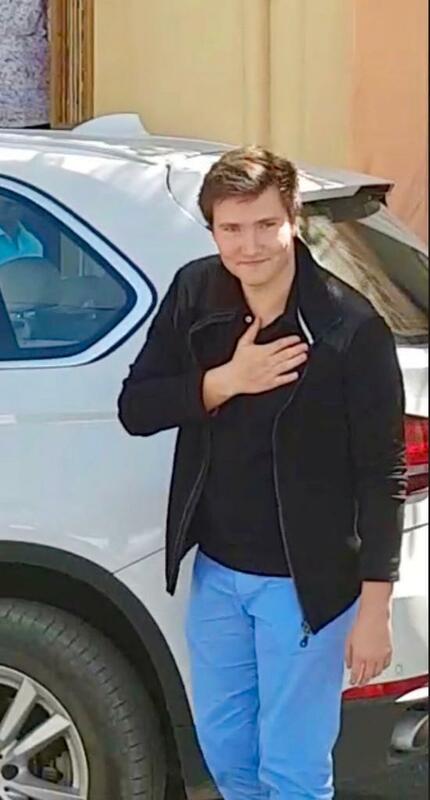 A stunning area of the world, truly beautiful with an incredible culture,” he told the Walk’s attendees in Toronto. After visiting these areas, Prince Aly released Close to Home, a short film he wrote, directed, and narrated capturing his trip and the people he met. 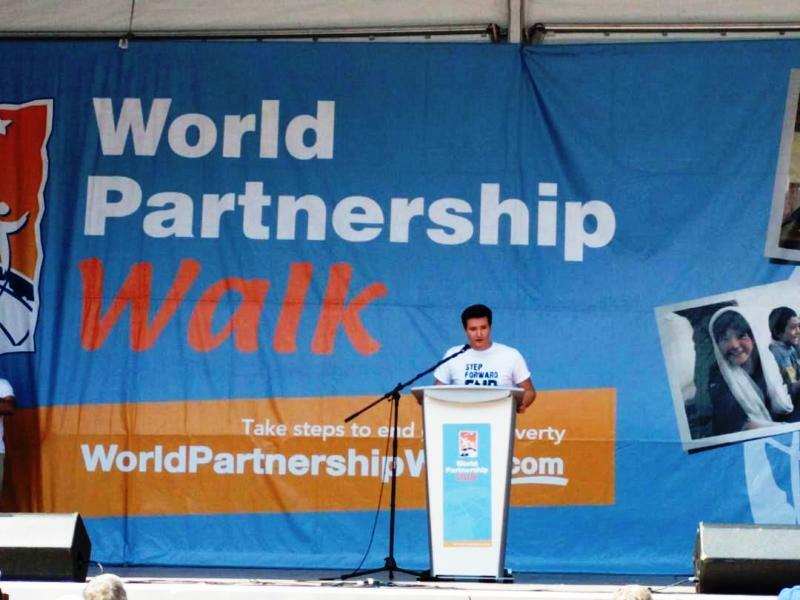 The World Partnership Walk takes place in 10 cities across Canada each year. Find out more at WorldPartnershipWalk.com. 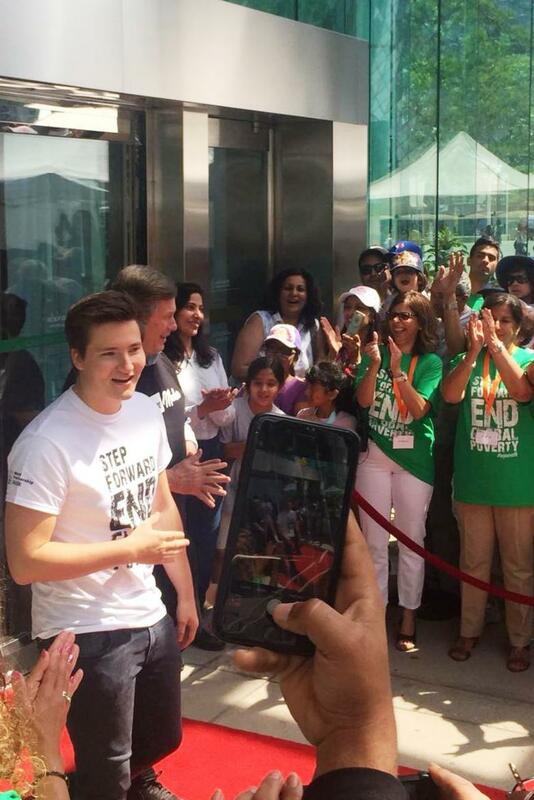 Prince Aly Muhammad, the youngest son of Mawlana Hazar Imam, joined a crowd of thousands on 17 June to launch the 34th annual World Partnership Walk in Toronto, an initiative of the Aga Khan Foundation Canada (AKFC). There was a palpable sense of anticipation as walkers and volunteers gathered at David Pecaut Square in downtown Toronto. 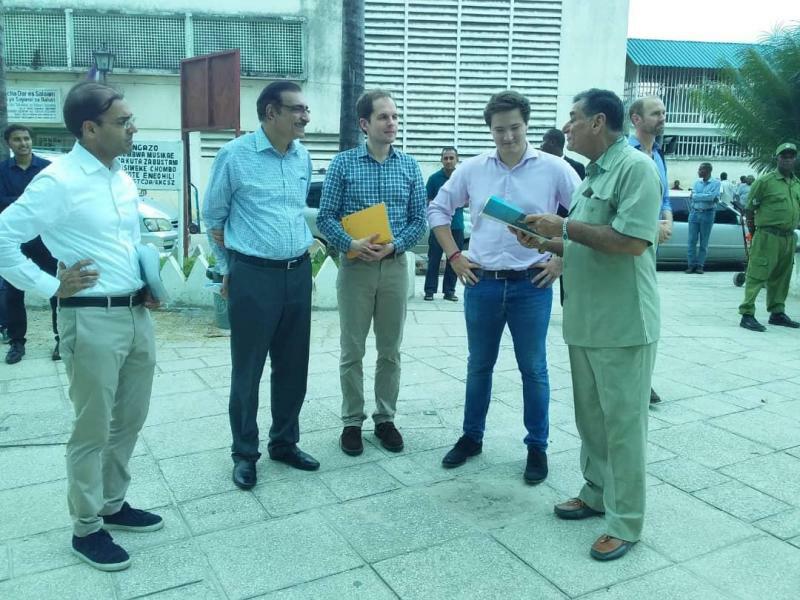 Prince Aly Muhammad was present to support the Walk and to see first-hand the many Canadians who contribute to improving the quality of life in some of the poorest and most remote parts of the world. 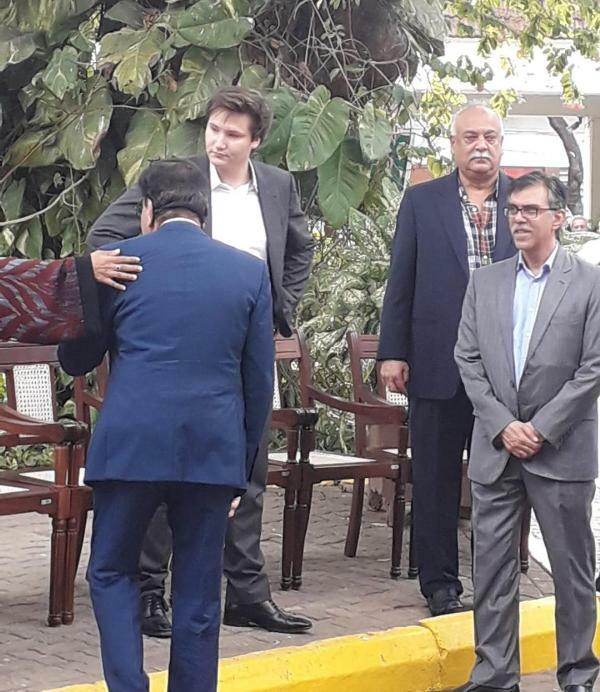 In his remarks to the gathered crowd, Prince Aly Muhammad spoke passionately about his recent trip to Northern Pakistan where he witnessed the impact of climate change. His observations, captured in the short video “Close to Home”, recount the dramatic impact that fluctuations in climate have on the habitats and lives of vulnerable communities in the northern regions. 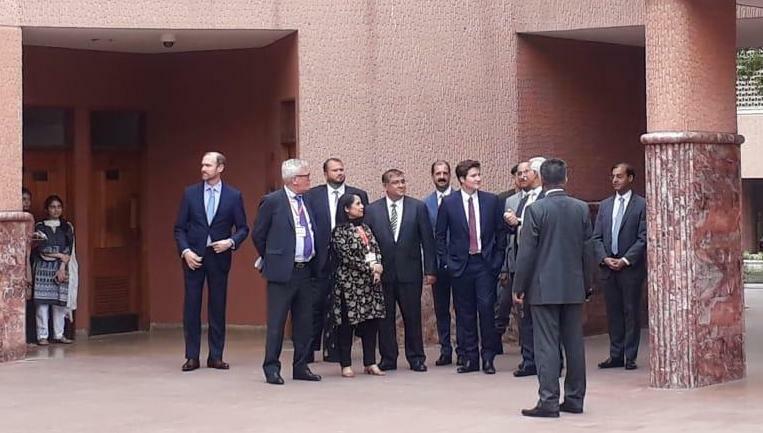 The piece also highlights the initiatives undertaken by AKDN agencies, partnering with local communities, to mitigate the human impact of such disasters. 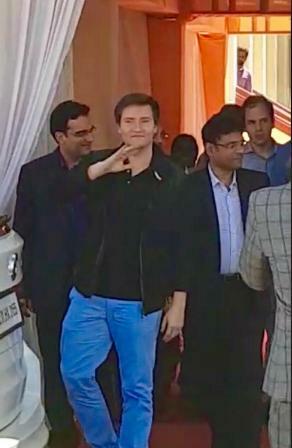 Toronto Mayor John Tory, a long-time supporter of the Walk, in his welcome remarks, recalled his visits to AKDN projects in Pakistan and the Aga Khan Academy in Hyderabad, citing the crucial role that the Network played in the education of future generations of leaders, and applauding the exceptional work of the World Partnership Walk in contributing towards such initiatives. He concluded by proclaiming 17 June as World Partnership Walk day in Toronto. There were several other dignitaries in attendance, including federal Minister Carolyn Bennett, MP Yasmin Ratansi and Parliamentary Secretary Arif Virani, who read a special message from Prime Minister Justin Trudeau on the occasion of the Walk. 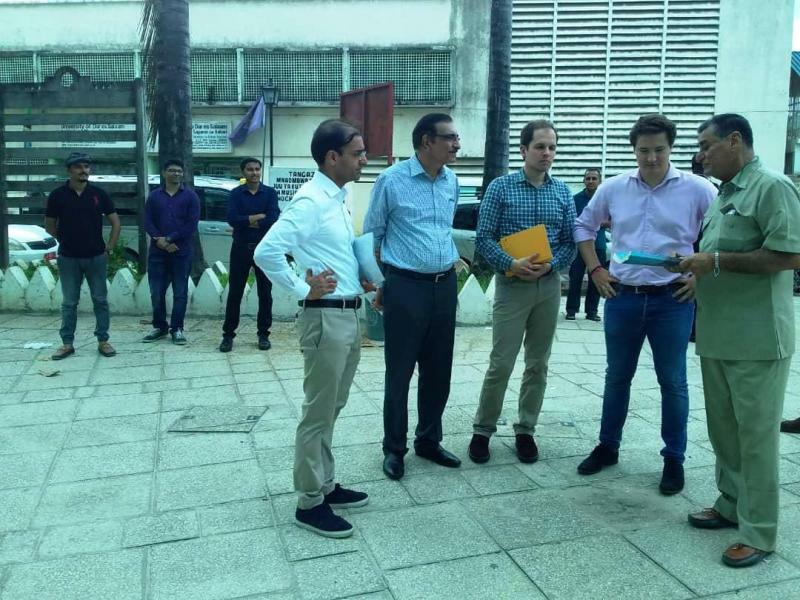 Several corporate leaders also participated in the event. The World Partnership Walk, started by a small group of women leaders in Vancouver 34 years ago, has grown to become Canada’s largest public movement dedicated to raising funds and awareness to address global poverty. Over its history, the Walk has raised more than $100 million to eradicate poverty and help communities across Asia and Africa. 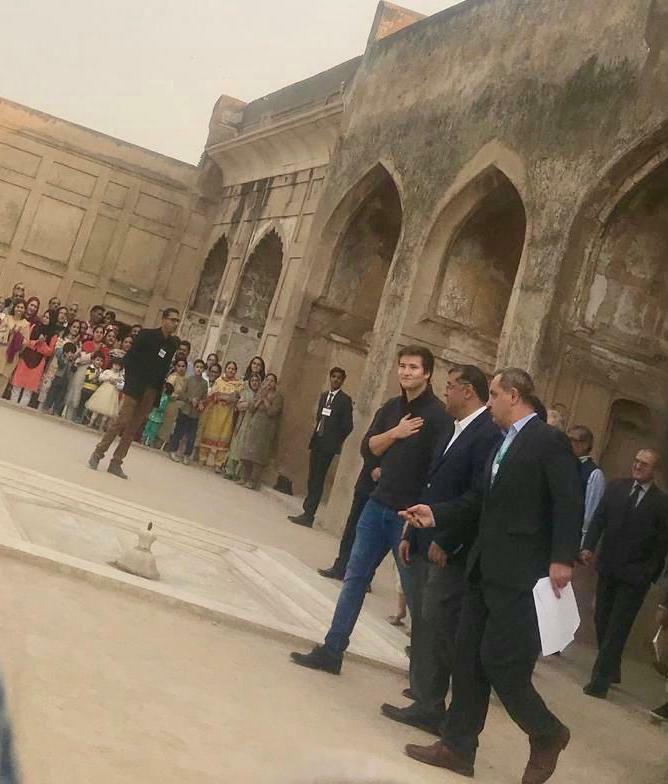 For many present, it was a moment of pride and inspiration, particularly for the young professionals and corporate team captains who were able to walk with Prince Aly Muhammad, and to hear his words of encouragement for all those working to improve the quality of life of marginalised communities. Ariana Rajan, age 10, donated $20 for the matching funds initiative. She wanted to give for “kids who don’t have much,” and spoke of her excitement at seeing Prince Aly Muhammad at the event. 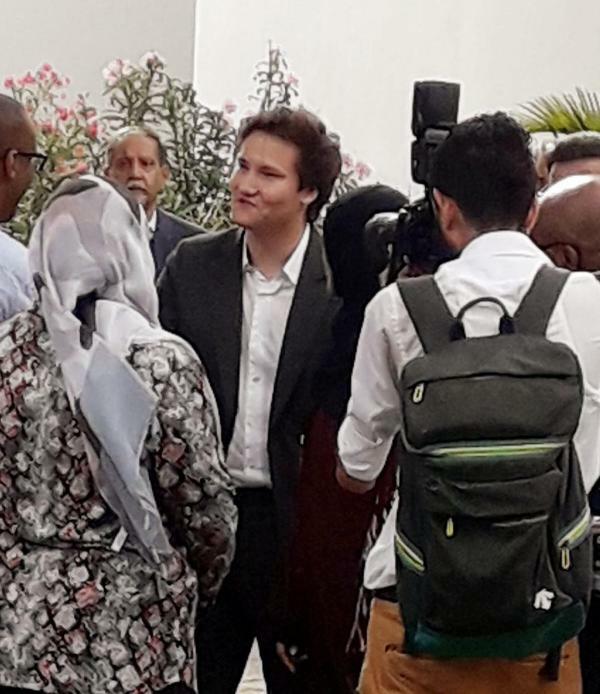 For Zahra Mehri, originally from Afghanistan, seeing Prince Aly Muhammad and hearing his powerful message was an emotional experience, knowing the positive impact that Mawlana Hazar Imam and the AKDN’s work has had across the world. The beautiful sunny day reached a high of 40 °C with humidity, but that didn’t deter the crowds of people, children, and pets, all out to participate and demonstrate their support. 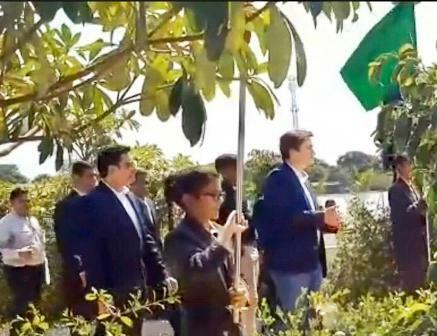 With Prince Aly Muhammad’s presence, this was an exceptional event, one that will be remembered for many years to come. 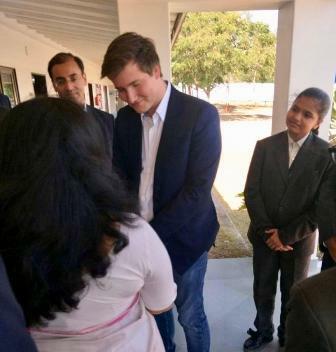 “I was deeply inspired by the students and faculty I had the opportunity to meet during this trip. Getting to know so many talented students and learning more about the UCA’s mission has been exciting and deeply rewarding,” explained Prince Aly. As part of his ongoing work this year, Prince Aly Muhammad also plans to build on his first film, Close to Home. 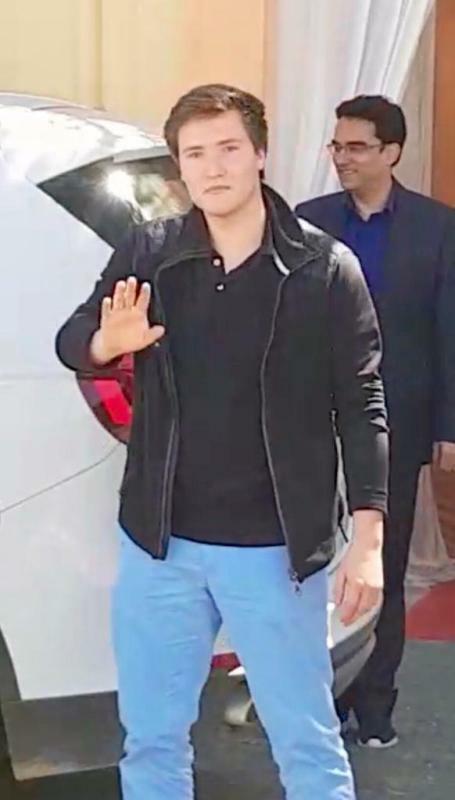 Prince Aly Muhammad’s first film focused on the lives of communities facing natural disasters in northern Pakistan, following his visit to Gilgit-Baltistan in October 2017. In June this year, Prince Aly Muhammad attended the World Partnership Walk in Toronto, Canada, which has raised in excess of CAD$6 million. The first Close to Home film is available at closetohomefilm.com. Stay tuned for updates by following @closetohomefilm on Instagram and Twitter. 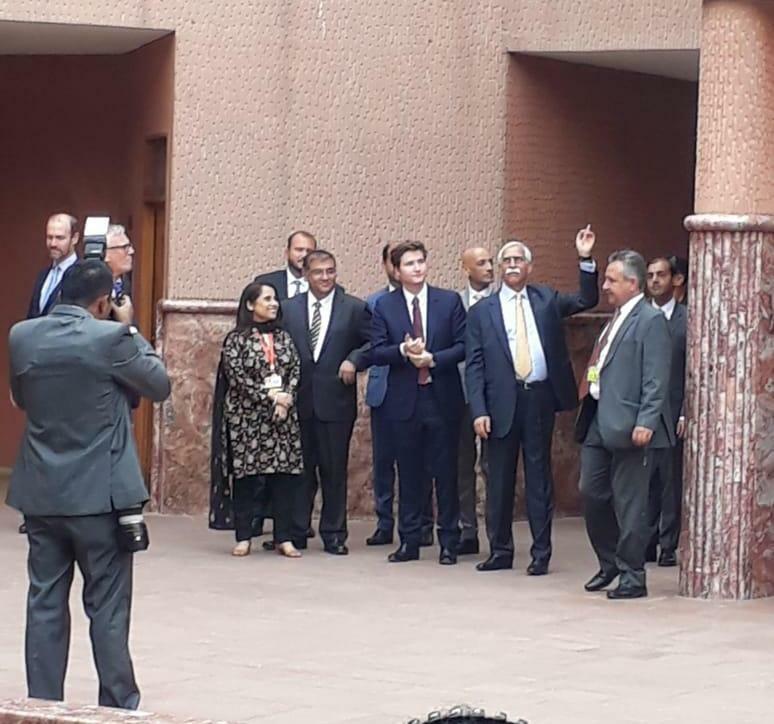 2018, November 27: Karachi, Pakistan - Prince Aly Muhammad waves to students at the AKU. 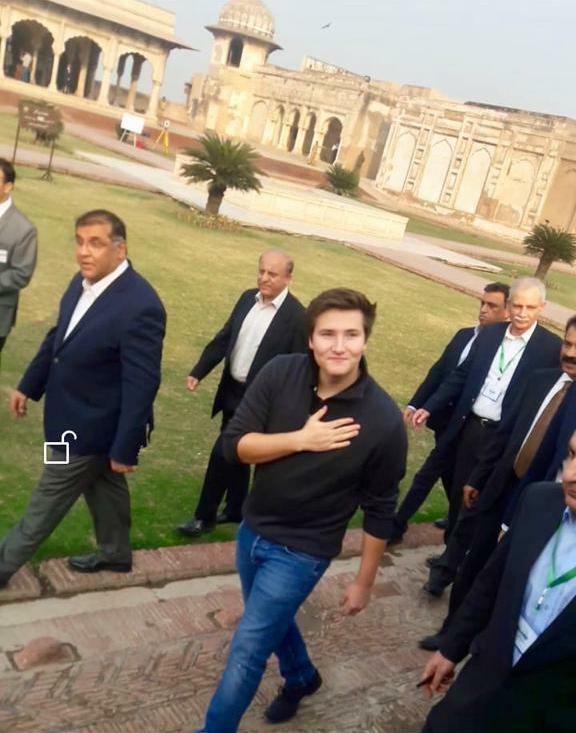 2018, November 28 - After visiting AKDN institutions and the AKU in Karachi yesterday, Prince Aly Muhammad has arrived in Lahore where he was seen visiting historical places of the city. TODAY! As received. 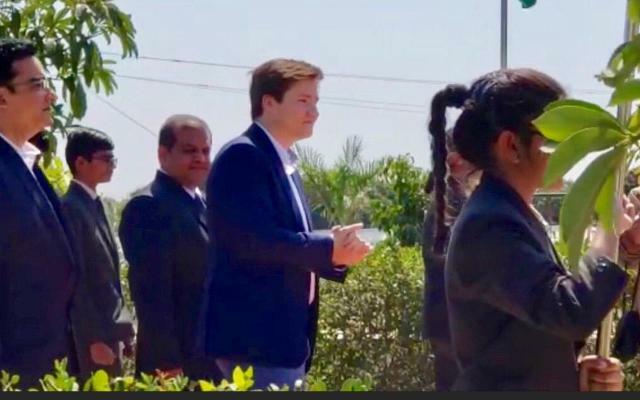 Prince Aly Muhammad Aga Khan visited the Al-Azhar Park in Cairo this 28 January 2019. 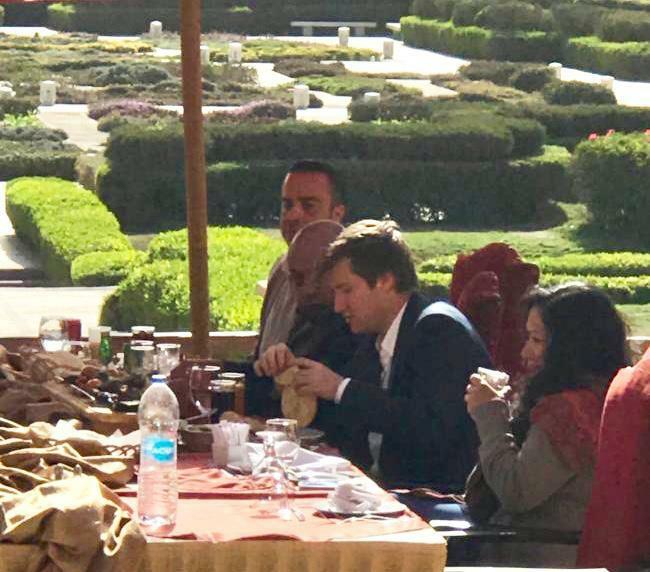 Egyptian first lady Suzanne Mubarak and the Aga Khan Trust for Culture, a private agency which seeks to revitalize Muslim communities, inaugurated the largest public park built in Cairo in over a century in 2005. In his speech, Mowlana Hazar Imam said "And I want to assure you that until the Park is fully developed, the Wall fully restored, I will continue to watch over this project like a father watching a child grow up. And one day this child will walk on its own, with its own decisions and it will move forwards determining its own future. " Here is the circular from National Council for India. 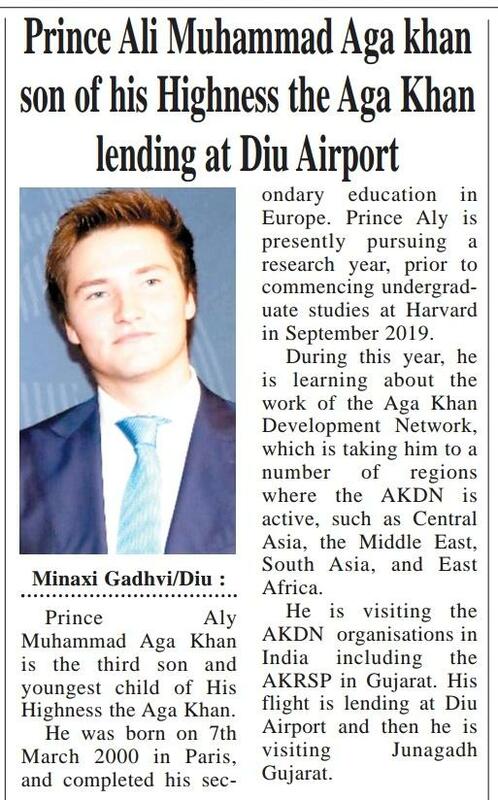 Aga Khan Academy, Hyderabad to launch an introductory seminar in Goa on 24th February. 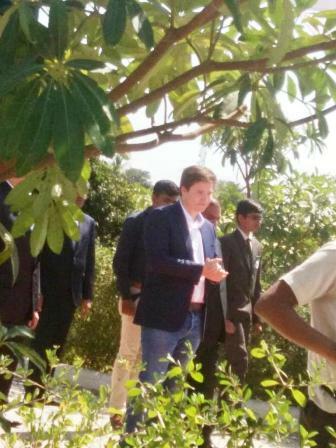 2018 February 20 - Prince Aly Muhammad Aga Khan visited a farm today in Chitravad, India as part of his AKDN work. 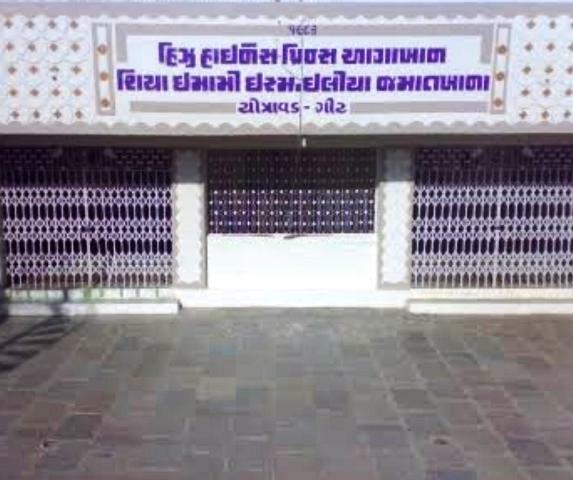 Chitravad is a small village near Rajkot and Junagadh in Gujarat and has a Jamatkhana as well as an Aga Khan School. 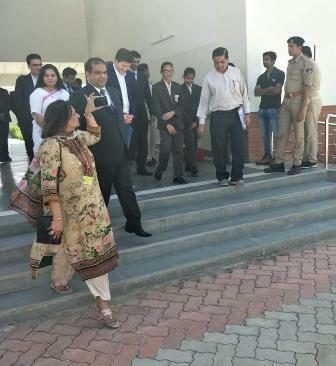 2019, February 21 - We have received more videos and photos which are been posted here. Scroll the page up for more events and photos. 21 February 2019. 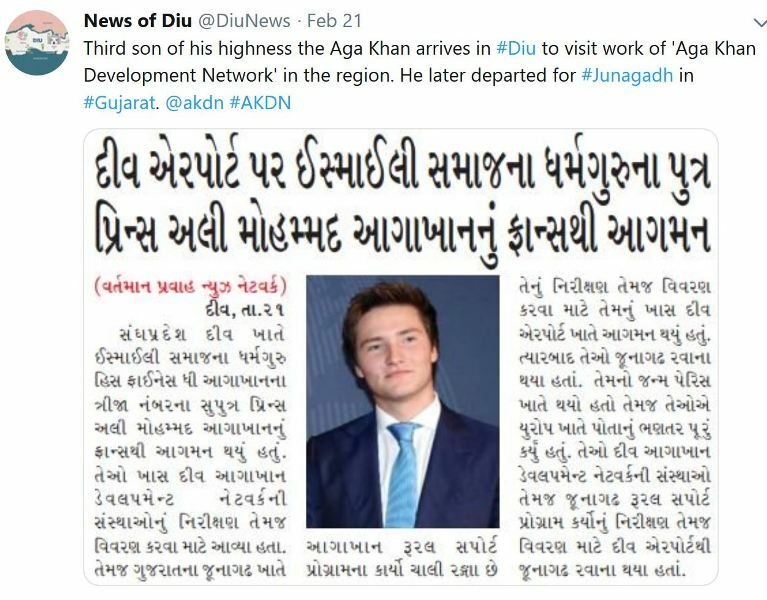 Diu News posted that Prince Aly Muhammad made a detour to Diu before leaving for Junagadh. 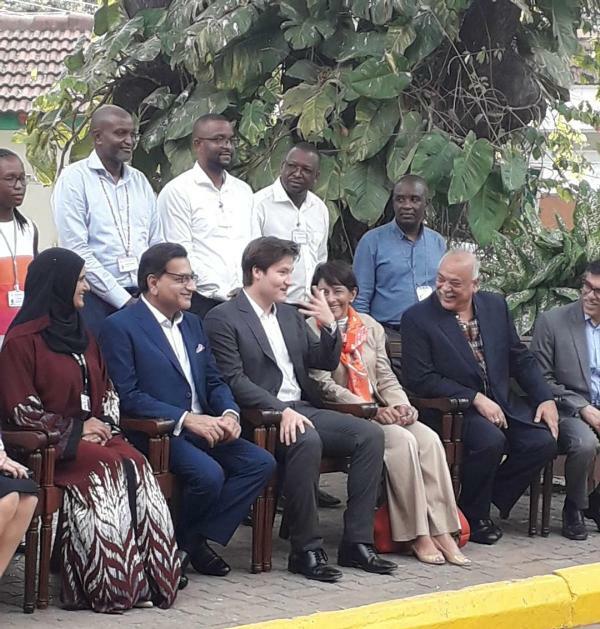 5 APRIL 2019: Prince Aly Muhammad has started a week long tour of East Africa to visit AKDN institutions. 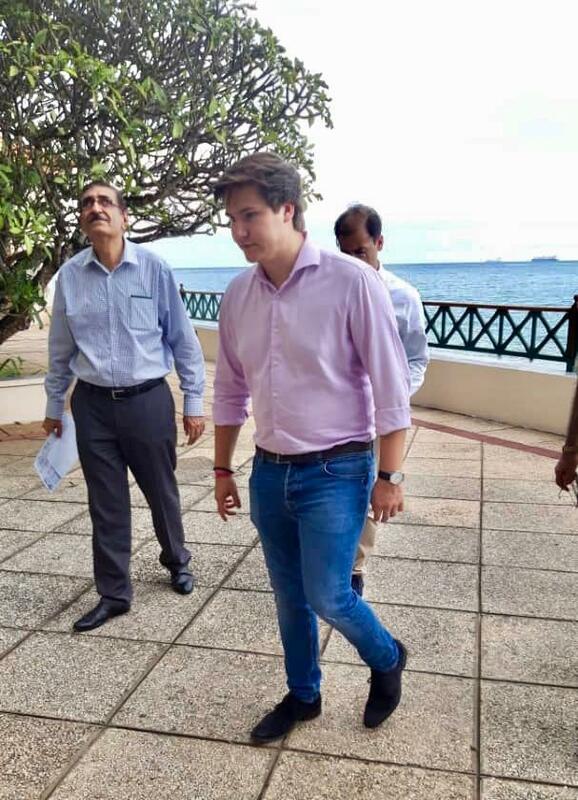 He has arrived in Zanzibar Friday 5th April and will go to Dar es Salaam, Tanzania this Sunday 7th April. 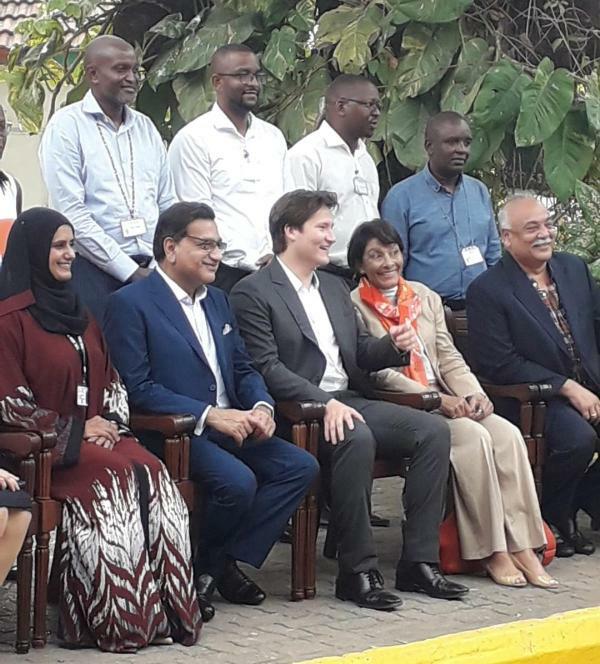 After visiting the Aga Khan Hospital next Monday, he will leave for Nairobi , Kenya where he is expected to stay 3 days. 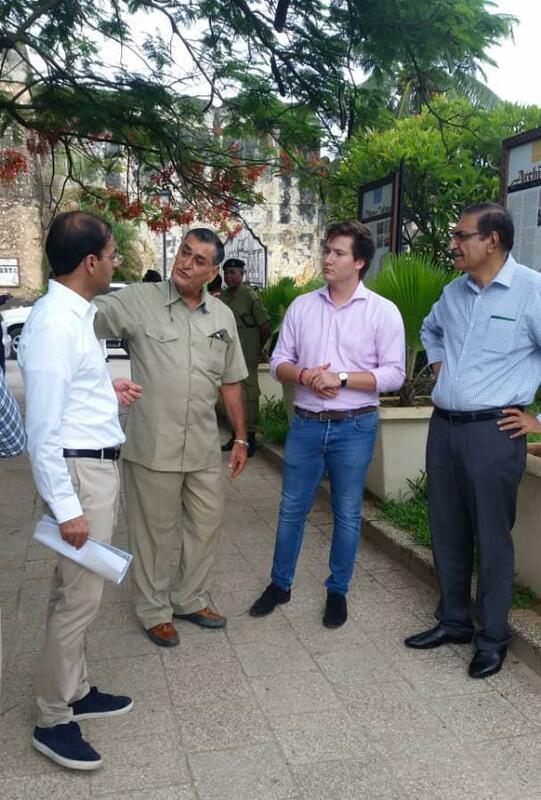 2019, April 6 - some more photos of Prince Aly Muhammad in Zanzibar at the Serena hotel and at the waterfront, Forodhani Park. 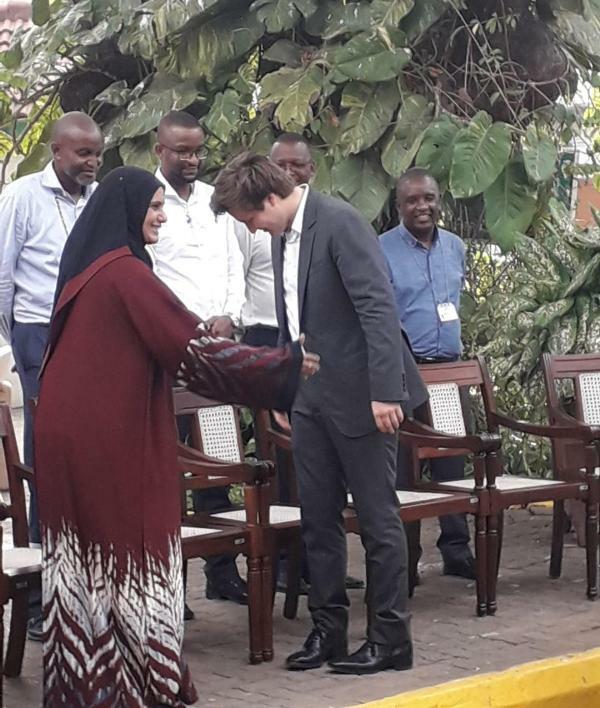 Here is the video of Prince Aly Muhammad leaving Kampala, Uganda and some of his photos in Mombasa, Kenya.